Woodward L. Coleman graduated with honors as the president of his senior class at Millsaps College in Jackson, Miss. He attended Medical School at the University of Mississippi. This was followed by a five year general surgery residency at the University of South Carolina. During his surgery residency he also travelled for additional training with clinical rotations in Neurosurgery, and Plastic Surgery at Emory University. While at Emory, he gained first hand instruction in some of the earliest microsurgical reconstructions in history. Dr. Coleman was at Emory with the professors at the time when they were engineering and publishing the earliest techniques for the TRAM flap breast reconstruction, and gained an exceptional working knowledge of the anatomy of the abdominal wall in its use for the Tram Flap. This is now one of the most a common breast reconstruction procedures worldwide. Returning to Spartanburg, he took part in many of the first microsurgical reconstructions ever performed at his residency program. 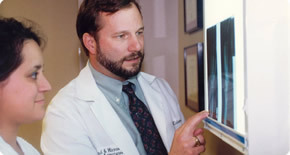 During his tenure as Chief Resident in Surgery, he founded the first microsurgical laboratory at the University of South Carolina Spartanburg Regional Hospital Facility. Because of his accomplishments and knowledge, he was one of only eight American and six international surgeons chosen, from all over the world, for a fellowship in the prestigious Christine Kleinert Memorial Hand Surgery Fellowship in Louisville, Kentucky. This is the largest and most famous hand fellowship in the world. The caliber of that particlaur group of trainees speaks for themselves: One of his classmates, Dr. Warren Breidenbach, perfomed the first successful hand transplantion in U.S. History. Another of his classmates, Dr. Maria Semienow, is now famous for performing the first face transplant in U.S. History. After completion of a full hand fellowship, he continued with a residency in plastic and reconstructive surgery which included further microsurgery training with Dr. Harry Bunckie, considered the pioneering grandfather of microsurgery. Dr. Coleman is a diplomat of the American Board of Plastic Surgery as well as being certified for additional qualifications in surgery of the Hand. Dr. Coleman is a Fellow of the American College of Surgeons, a member of the American Society for Plastic Surgeons, the American Society for Reconstructive Microsurgery, the American Society for Surgery of the Hand, and the American Association of Hand Surgeons. He is also a member of the American Medical Society and the San Antonio Surgical Society. He holds an appointment as assistant clinical professor for the Division of Plastic Surgery at UT Health Science Center, San Antonio. He has been chosen for scientific presentations at five international meetings, including two teaching videos. He is co-author of a chapter in the textbook "Plastic Surgery Principles and Practice," edited by the chairman of Emory University's Surgery Department. He has performed numerous groundbreaking procedures in San Antonio, including one of only a very few hand replantatons, and the first surgeon to successfully perform 5 DIEP microsurgical breast reconstructions in San Antonio. Dr. Coleman and his wife have three children. His youngest two, Ryan and Claire are honor students, presently attending the University of Texas in Austin. His oldest daughter, Katie, atended the number one ranked honors program in the nation, the Plan II program at the University of Texas, Austin. Continuing to Law School at UT, she served as the editor of the Law Review, and was one of only 3 graduates chosen to join a private practice in Austin.
" If there is one forte I hold above all others, it is the informed patient. I take great efforts to ensure that there are no unpleasant surprises after surgery. I take as much time as necessary, with subsequent appointments at no charge, until the patient, and I are content with the information and feel confident moving forward with the procedure. "